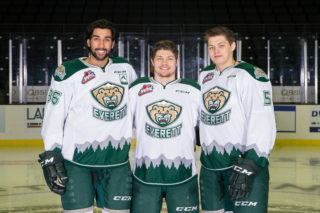 The national stage calls, and three Silvertips are ready to grab the spotlight. With the World U-17 Hockey Challenge underway with its first phase, development camp, three Silvertips out of 111 players or coaches are representing Hockey Canada in a special way. In conjunction with the program’s summer showcase, forward Brett Kemp and defenseman Gianni Fairbrother are two of the select players handpicked from CHL teams to battle for final roster spots, due to compete at the grand event, Oct. 30 – Nov. 5 in Sault Ste. Marie, Ont. Silvertips assistant coach Mitch Love, who earned a gold medal last season, will return for his second consecutive season on Hockey Canada’s coaching staff for the World Under-17 Hockey Challenge. 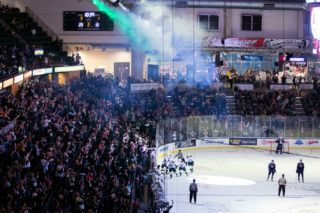 Kemp, a 2000-born forward, was selected by Everett as their first pick in the second round (41st overall), in the 2015 WHL Bantam Draft and made his Silvertips debut on Mar. 19, 2016 at Victoria. He was named Second Team All-Star with the Yorkton Maulers (SMHL) to cap the 2015-16 season, ranking second in the program and sixth in the league with 51 points (20g-31a) in 42 games, adding to four points (2g-2a) in four postseason games. He suited up for Team Saskatchewan at the Western Canada Under-16 Challenge Cup. Kemp was third in Saskatchewan with 79 points (37g-42a) in 30 games at the Bantam level for Yorkton in 2014-15, who went 30-1 in the regular season and won the provincial championship to earn a spot in the Western Canadian Bantam Championships. Fairbrother, a 2000-born blueliner, was awarded Top Defenseman this past season in the Canadian Sports School Hockey League (Elite 15s), racking up 18 points (5g-13a) in 35 games to lead the Burnaby Winter Club in scoring among defensemen and ranking second in club playoff scoring with four assists in four games. He also joined Burnaby’s Prep club, notching three assists in five games and posting a pair of assists in his only playoff game. 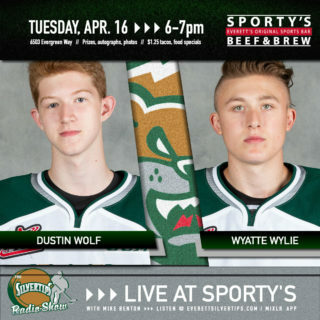 The 5-foot-10, 174 pound blueliner made his Silvertips debut the second round, Game 3 of the 2016 WHL Playoffs and suited up in three postseason games. He was originally selected by the Silvertips in the fourth round (80th overall) in the 2015 WHL Bantam Draft. Mitch Love, 32, is now in his sixth year behind the Everett bench since coming full circle with his former junior club to start his coaching career in 2011. 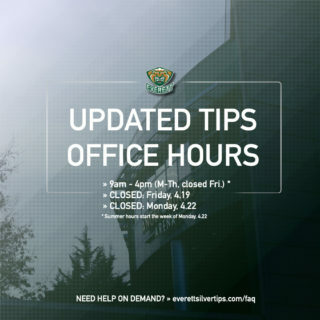 Last season he helped the Silvertips rank second lowest for goals allowed in the Canadian Hockey League, at 2.3 per game, while every defenseman on the Silvertips roster finished the season at even or higher in plus/minus. 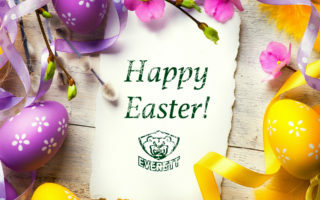 A native of Quesnel, British Columbia, Love patrolled the blueline for Everett’s inaugural 2003-04 Western Conference Championship team before serving as Captain of the 2004-05 squad in his final junior season. Despite playing only two years with the franchise, he still ranks fifth in ‘Tips history in career penalty minutes. Love played his first three WHL seasons with the Moose Jaw Warriors and Swift Current Broncos, where he broke Dave “Tiger” Williams’ 29-year-old franchise record for penalty minutes in a single season (327 in 2002-03) – a record that still stands today.